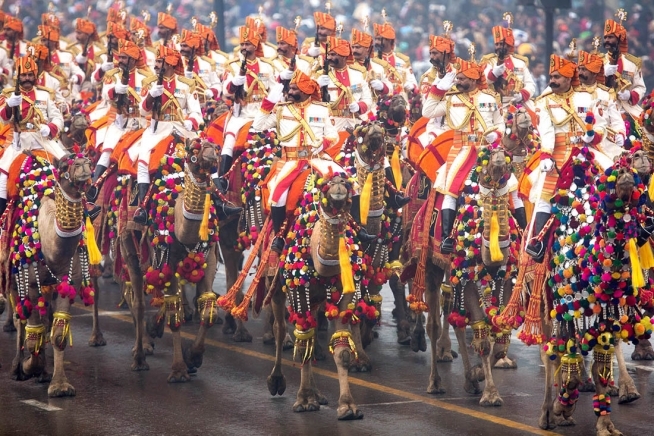 The last time I watched an India Republic day parade was probably in grade school when we were coerced as school kids to go watch it live at Parade grounds in Bangalore. So, it’s been awhile. This year with the chief guest being Barack Obama, I couldn’t help but tune in to the live stream of the action in the Indian capital. It was getting past my bedtime so I quit after about an hour or so but the pomp and circumstance that surrounded the event was certainly impressive. 1. Does it take the visit of an American president to clean up the Taj Mahal? Granted his visit was cancelled but in just a few days, India cleaned up so well that the Taj Mahal and its surroundings apparently shone with the efforts. I remember my last visit to Taj a few years ago. As I got my first glimpse of this fabulous monument, it was so overwhelming that I got goose bumps. Literally. It truly is that fabulous. But I also had to put up with the filth and stench that surrounded it, as did all the other tourists. It sounds like all it took for the Indian government to act was the motivation of Obama. Really? How about this – how about having enough pride in this remarkable heritage to keep it immaculate all the time? Imagine having none other than Hosni Mubarak as a role model and ordering pinstripes that spell out his full name! Idiocy! My view is more like this: Narendra Damodardas Modi suit was a PM sized fail: Here’s why. Just when I was beginning to respect some of the things this guy is attempting to do for the country, he goes and shows off in the most bizarre manner. Even for someone with his sartorial sensibilities, this was a bit too much! I can just imagine Obama chuckling to himself or to Michelle once he learned/read about it. Because I doubt that he could have imagined anything so outlandish about those pinstripes when he actually met the man. What an unnecessary distraction it’s caused. Methinks the chaiwallah PM of India could do himself and his country a whole lot of favors by being more true to his humble roots. If he can. 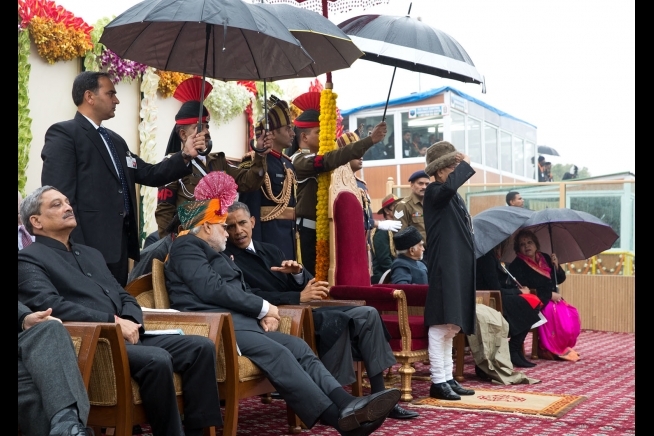 Posted on February 1, 2015, in india and tagged cleaning up taj mahal for obama, modi and sartorial sense taken too far, modi's pinstripes, obama's visit to india republic day 2015. Bookmark the permalink. Leave a comment.